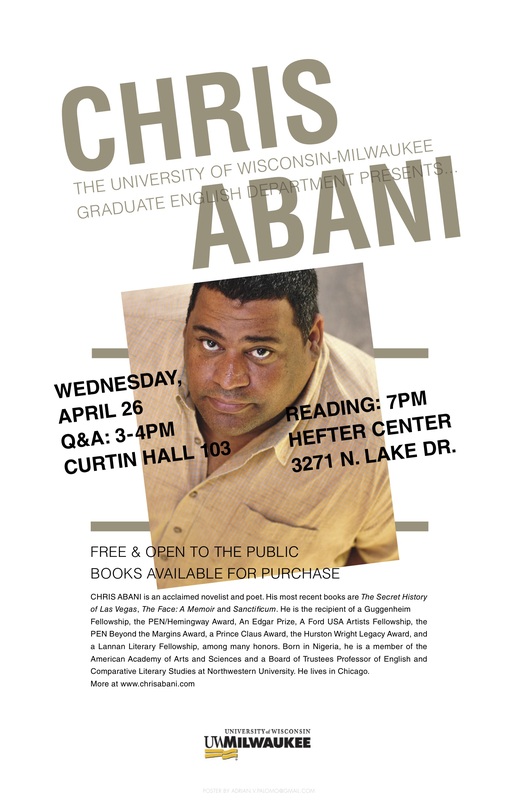 The English Department presents novelist and poet Chris Abani, whose most recent novel, “The Secret History of Las Vegas,” was a finalist for an Edgar award. Born in Nigeria, Abani was imprisoned three times for his subversive writing. He went into exile, and eventually settled in the United States. He currently serves as a board of trustees professor of English at Northwestern University in Evanston, IL.